The Scientific Diving Center of the TU Bergakademie Freiberg, Germany offers a training course for students and scientists to qualify divers as “Scientific Diver” or “Advanced Scientific Diver”. The content of the course and the project at the field trip can be adapted to the participants. Interested divers can register until the 31.05.2018. All scientific discipline’s are welcome to the course. 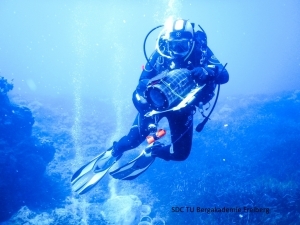 Scientific Divers interested in becoming a Scientific Diving Instructor are also welcome to contact the SDC Freiberg.